Apple is planning to open its first retail store in Turkey on Friday, April 4, reports Turkish Apple blog ElmaDergisi [Google Translation]. Located in the heart of Istanbul's multi-use Zorlu Center between luxury retailers Burberry and Louis Vuitton, the new store will span more than 20,000 square feet. According to Apple CEO Tim Cook, the Istanbul store will feature a unique concept that includes a design with a cubic glass ceiling, but the architecture of the store has yet to be revealed. 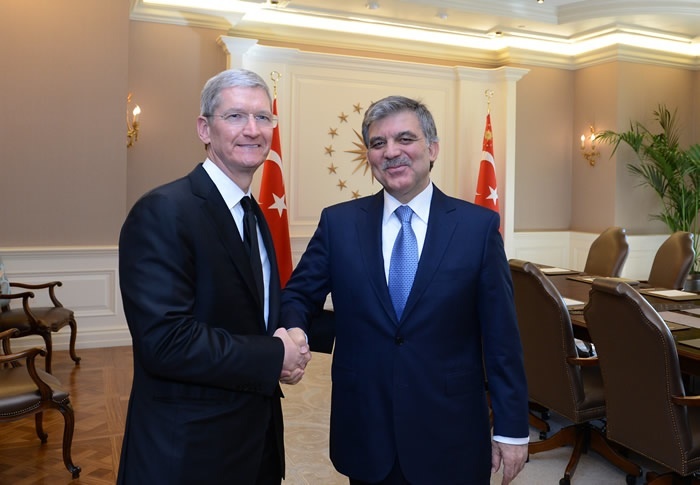 Earlier this year, Tim Cook traveled to Istanbul to meet with the Turkish president, reportedly discussing the new store opening, potential research and development facilities in the country, and an ongoing initiative that could potentially see Turkey purchasing $4.5 billion worth of tablets for the country's schoolchildren. Cook is expected to return to Turkey for the store opening, which will also be attended by Turkish President Abdullah Gül. Cook and Gül met in Ankara, which is the capital city. Been a long time gone, Constantinople! Tim travels abroad YET AGAIN to be feted by the not-so-high-and-mighty. And....IOS and Mac OS have security issues dating back to the beginning of Tim's reign. Plus, IOS 7.1 still not released. Plus, issues with Thunder cables rotting. Plus, too many 'rights' issues in the fore. Sadly, MANAGEMENT of Apple seems to have fallen to the worker level and ON SITE LEADERSHIP needs some attention. Hey Tim, I know you are not evil or lacking in capabilities but maybe back off from the too many, too often trips to Asia and Europe. Just 'sayin. Yeah, let go of an ultimate PR opportunity in a growing country, (when the leader of that country decides to attend the store opening, the company CEO should be present: As a sign of respect. This is true for most nations) in addition to the deal with the department of education in the country that could be responsible for upto 4.5 billion dollars! TC is no longer the day-day manager of apple, he is the CEO..CEO's LEAD the company and its workers..technical issues needn't be micromanaged by the company CEO. Considering that Turkey is considering buying an iPad for every single schoolchild in the country, I'd say this is time well spent. Turkey has a population of about 75,000,000. It is potentially Apple's largest single customer.